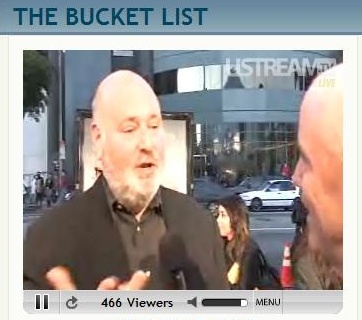 In cooperation with Warner Bros. Pictures, the Ustream Entertainment division streamed a live, interactive red carpet event this past Sunday for a upcoming major film called “The Bucket List”. 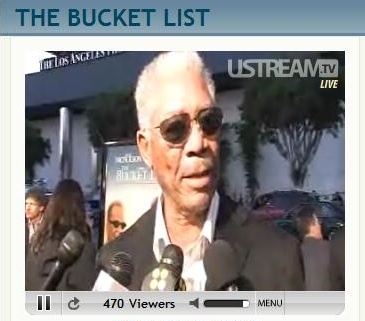 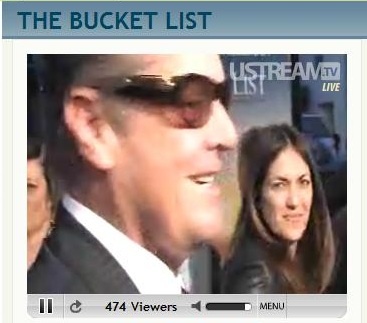 Fans who tuned in live saw Morgan Freeman, John Mayer and yes…even Jack Nicholson himself. 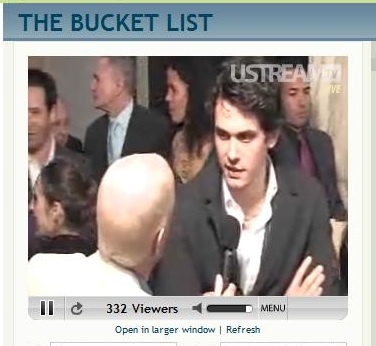 You can check out the interviews with Morgan Freeman and John Mayer below!